It is Heaven! Using the Cloud to Challenge Big Business - Omnificent Systems Inc.
Has anyone suggested you begin moving your business to the cloud? 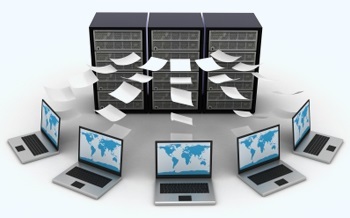 Cloud data storage or cloud computing? What is this, anyhow? And isn’t it something for huge companies? The cloud ends all of that. In simple terms, the cloud lets you rent just as little infrastructure as you need, and then lets you grow as incrementally as you like, paying only for what you use.Essentially, the cloud has become the great equalizer. The high cost of entry created by IT can be eliminated by the cloud.